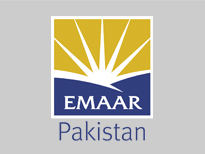 Islamabad—Emaar Pakistan, the country subsidiary of the global property developer Emaar Properties PJSC, has achieved a new milestone in the construction sector by becoming the first company in the country to implement the post-tension construction system for developing the 27 storey Coral Tower, a key residential tower in Emaar’s up-market Crescent Bay master-planned community. “This is the first time that the post-tension method of construction is ever being used in Pakistan in residential buildings. Earlier, this system has been used mostly in the construction of bridges,” said Mr. Matt Cronje, Chief Executive Officer of Emaar Pakistan. Crescent Bay, a flagship project of Emaar Pakistan, is being constructed in the port city of Karachi. A master planned seafront development, it offers sea front vistas over three crescent shaped man-made bays. The project has been planned to enhance the Karachi skyline by providing a unique and quality residential, commercial and retail community with world-class infrastructure and security standards. The use of post-tension concrete system will provide greater structural stability and durability for the structure. “Apart from normal reinforcement, high strength ‘strands’ are used in this type of construction, which are specially imported for the project with the first strands already delivered to the site. This will speed up the construction process and reduce the delivery time,” added Cronje.